Welcome to Thornhill School's Governor page. As Governors of Thornhill Primary School we are committed to providing the best possible education for children attending our school. Thornhill is a small, passionate and friendly school and we are proud of the achievements of all our pupils and staff when working together. We are firmly of the view that by working together we can achieve more for everyone. We go the extra mile to offer the very best we can - not only to pupils but to the whole community too. This means that we offer a range of extra-curricular, community and public events, classes and projects. As a result, we are delighted that we have a fantastic relationship with the village and a number of community groups and organisations. We want to give our pupils the best education they can get, to set them on the right track for the rest of their lives, and our track record speaks for itself. We have been rated good by OFSTED and our results show that we always help our pupils achieve all they can, and provide excellent added value. As Chair of Governors I would like to invite you to look at our website and see for yourselves the good work being done. We look forward to seeing you in our school, appointments to visit can be made by contacting the Executive Head or the School Office Manager on 01946 820402. 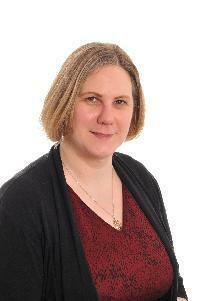 My name is Wendy Figes, I am the Executive Head teacher at Arlecdon Primary and Thornhill Primary Schools. I have a degree in History from University College London and a PGCE from the University of Hertfordshire. I started my teaching career in Hemel Hempstead in a Year 5 class but soon moved to London where I worked in the London Boroughs of Redbridge and Barking and Dagenham. I moved to Cumbria in 2008 and started working at Thornhill Primary. I became Headteacher of Thornhill Primary in 2011, following NPQH training with the National College. I became an Executive Head teacher in 2013. I am married with two teenage children and enjoy running, live music and enjoying walking in the lake district. Co-opted Governor - Re-election date: 29/07/2020. Elected Chair in March 2019. Claire currently works as a Quality Management Professional with previous experience in Health, Safety & Environmental Management. Claire is originally from the North East, she moved to Thornhill in 2007 and remains in the local area. Fiona joined the Governing Body in July 2018 and was elected Vice-Chair in March 2019. She moved to Cumbria from London a year ago having been a Senior Manager at a charity. She worked there daily with vulnerable and mostly young people, and she is passionate about education and support of youth both in school and in the wider community. LEA Governor - Re-election date 05/10/2021 ( Member of the GB since 2013). Martin is the Local Authority Governor. 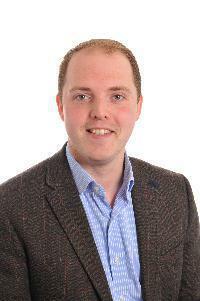 He is a programme management and communications professional, as well as an academic researcher and author. Martin lived in the local area before gaining a place to read English at Oxford University. After graduation, Martin pursued post-graduate research at the University of British Columbia in Canada. Whilst there he taught medieval history and literature. Martin now lives in Cockermouth. He maintains a strong interest in politics and has written several books about Barack Obama. Gillian joined the governors in July 2017. She has lived in Thornhill for most of her life and attended Thornhill Primary School as a child. She has two children that currently attend the school, and is a STEM ambassador and a Chartered Chemist. Mark joined the Governing Body in July 2018 and has taken the responsibility for overseeing Health & Safety in the school. He lives in Thornhill with his wife and daughter who is a pupil at Thornhill Primary, currently working for Aldi UK in Whitehaven, he is also an NVQ Level 3 qualified senior support worker for adults with learning difficulties and has many years experience within this industry. Claire has been teaching in Key Stage Two since January 2017. She has taught in other local schools but also spent a number of years working as a police officer in the local area. She is married with two children who attend a local primary school. Jackie joined the governors in November 2011 as a Parent Governor. Jackie is the school cook and cleaner and lives in the village. Jackie has had one child who attended Thornhill Primary School and now he has an apprenticeship with GenII. Ava joined the governors in September 2017. She is an environmental and technical advisor living and working in the local area for two years, joining the governing board to become involved in the community and support the improvement and development of children in the area. She is originally from the US, and holds dual citizenship, having moved to the UK to study at Bangor University. She has worked with summer camps as part of youth development projects as well as coached under 20's sport in the UK, including coaching at European Championships. She maintains a keen interest in sport and in particular developing youth programmes. Mrs Amey is a retired teacher who lives in Thornhill. 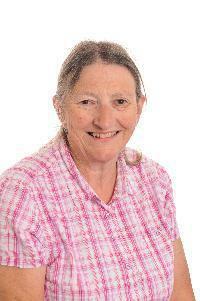 She is an active member of the Thornhill Village Association and also heavily involved in other local groups. She is a regular visitor to school, helping out on school trips, during events and also doing weekly drama storytimes with groups of pupils.